Disclosure: This Easy Chicken Parmesan recipe post has been sponsored by Lunchbox. *The Bullseye Design, Target and Target GiftCards are registered trademarks of Target Brands, Inc. Terms and conditions are applied to gift cards. Target is not a participating partner in or sponsor of this offer. Tis the season of giving; which is Unilever has partnered up with Feeding America to help turn the tables on child hunger by providing over 1.3 million meals* to children in need. 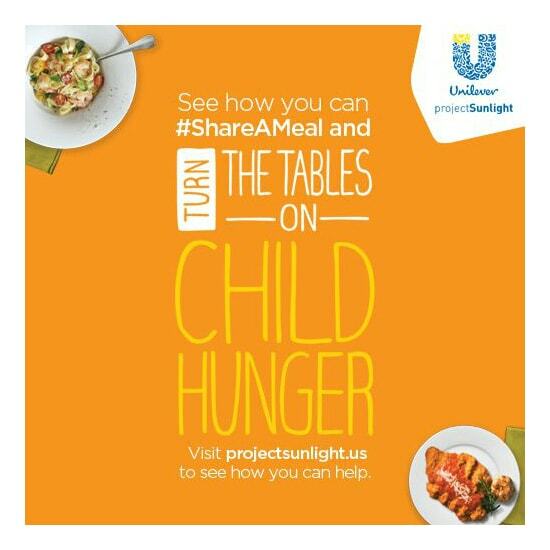 Visit projectsunlight.us to see how you can help #ShareAMeal. 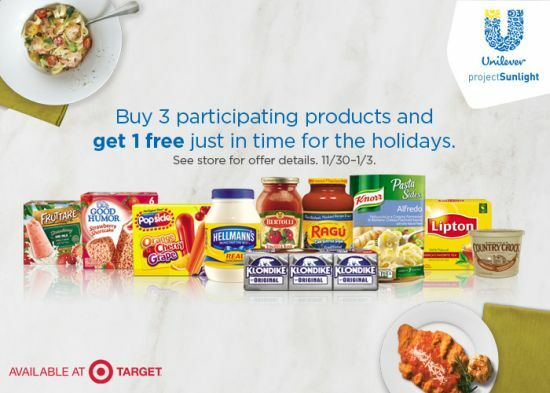 Then, head over to Target to take advantage of a special Buy 3 Get one FREE** deal on participating Unilever food brands, to help make dinnertime a little easier in your own home. 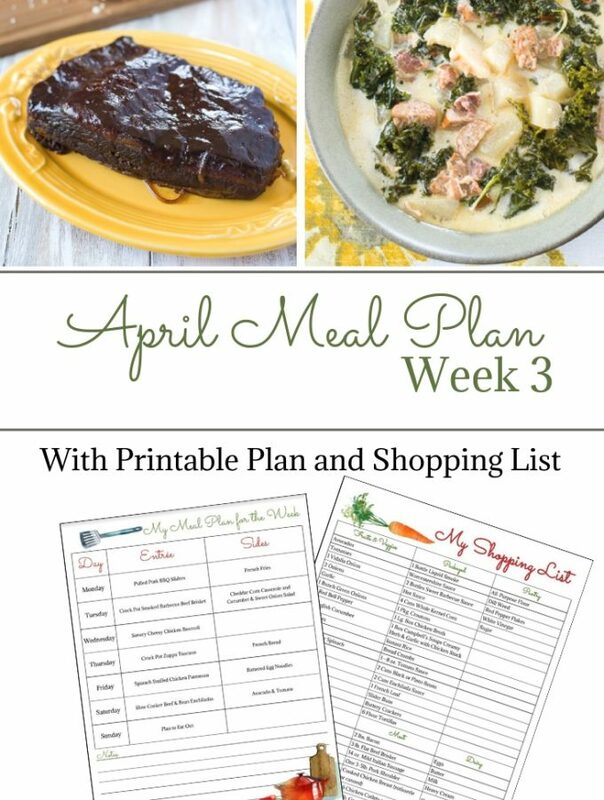 Starting 11/30/14–1/3/15, you can stock up on your favorite Unilever products to make affordable and delicious meals the whole family will enjoy. 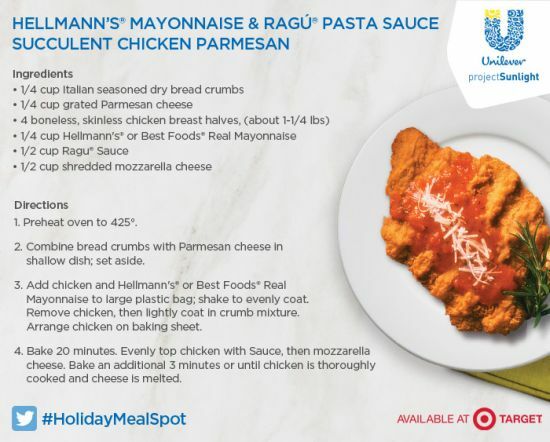 Make dinnertime even better when you combine this special offer, with a quick and easy Succulent Chicken Parmesan recipe from Hellmann’s & Ragu. 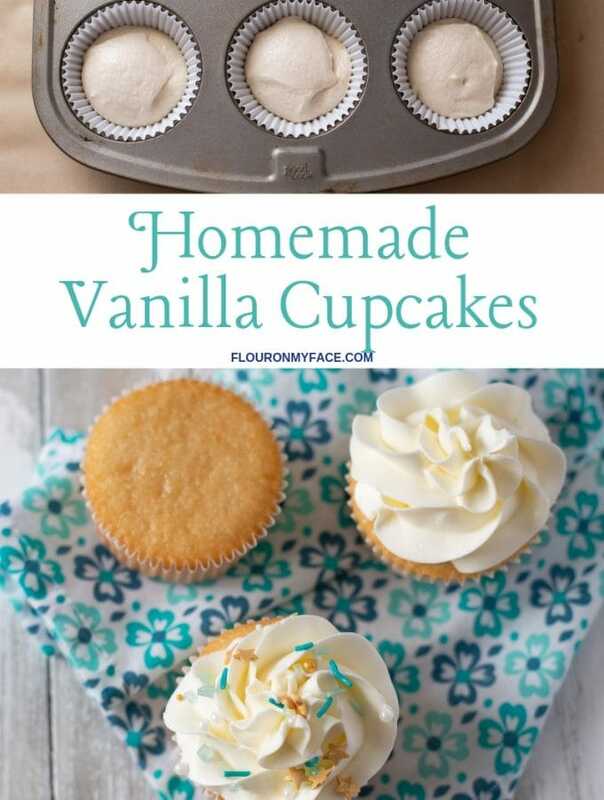 Find the recipe, and a $0.75 off Hellman’s coupon, here. 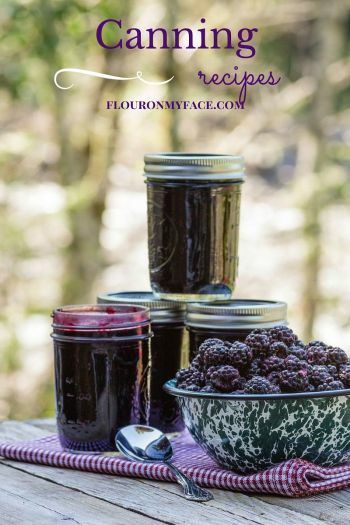 What would you make using these participating products? Share your favorite recipe with me on Twitter using #HolidayMealSpot. 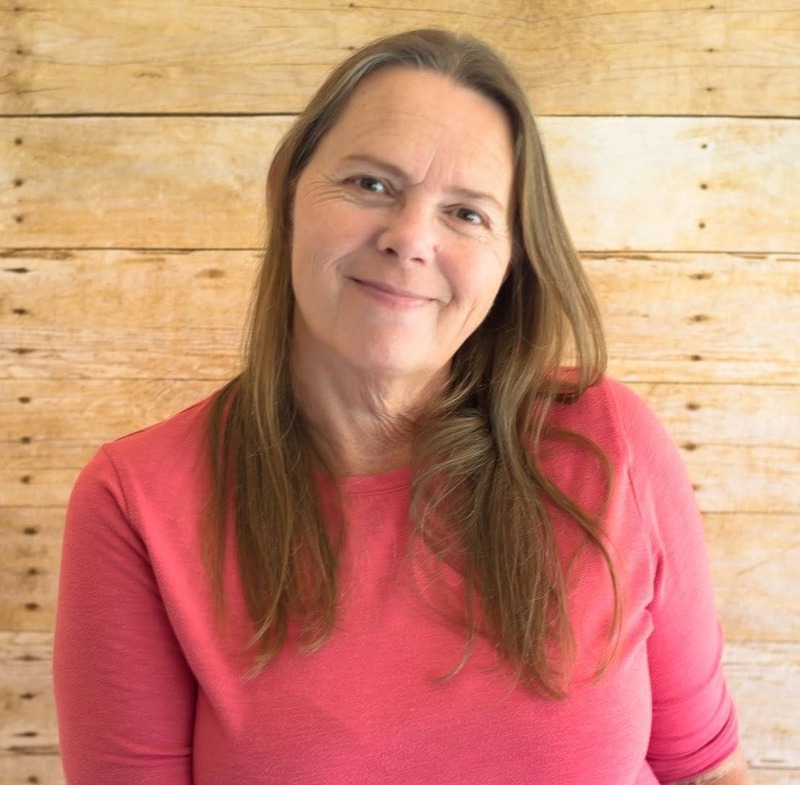 *$1 helps provide 9 meals secured by Feeding America on behalf of local food banks. Unilever is donating a minimum donation of $150,000 to Feeding America. **See in-store for details. Offer valid 11/30/14–1/3/15. Participating brands include Bertolli, Best Food’s, Country Crock, Fruttare, Good Humor, Hellman’s, Klondike, Knorr, Lipton Tea, Popsicle and Ragu. I love supporting Unilever and Feeding America. With this Target special Buy 3 Get one FREE deal on participating Unilever food brands you can also help support this worthy cause this holiday season. Pick up the ingredients for this Easy Chicken Parmesan recipe while shopping at Target between 11/30/14–1/3/15 and just by making this very easy and delicious meal for your family you can help Feed America. 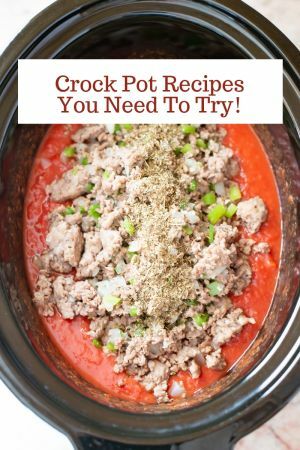 This is one of the easiest dinner recipes I have ever made and it tastes amazing. Trim and pat the chicken breasts dry. 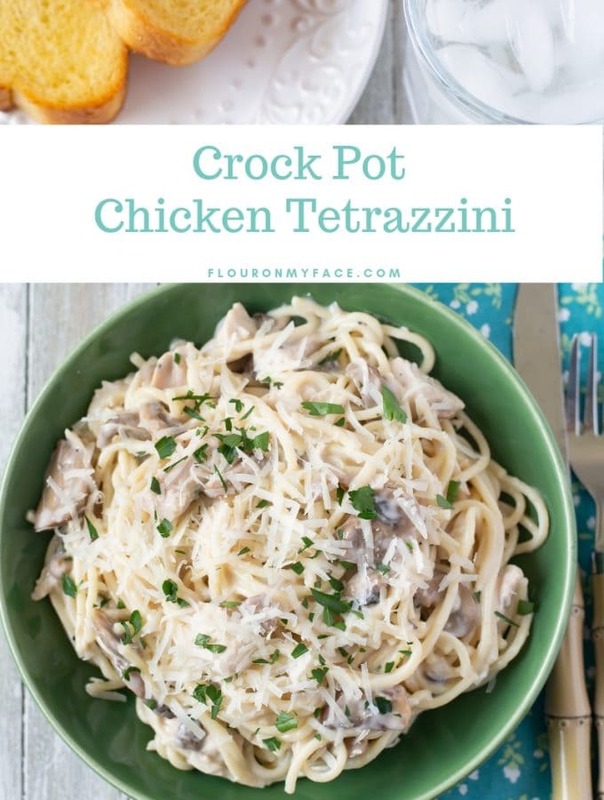 Place the chicken on a shallow baking pan and preheat the oven to 450′ F degrees. 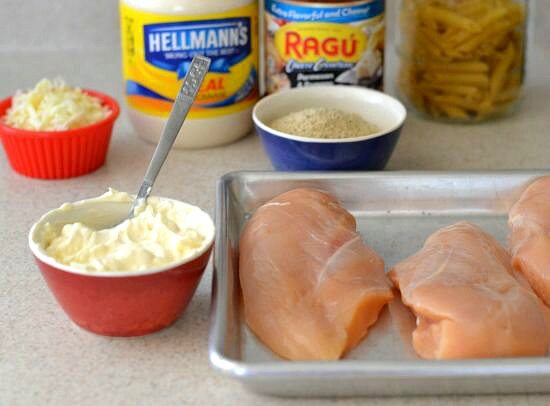 Mix the grated parmesan cheese with the Hellman’s mayonnaise. Evenly spread the mixture over the chicken breasts. 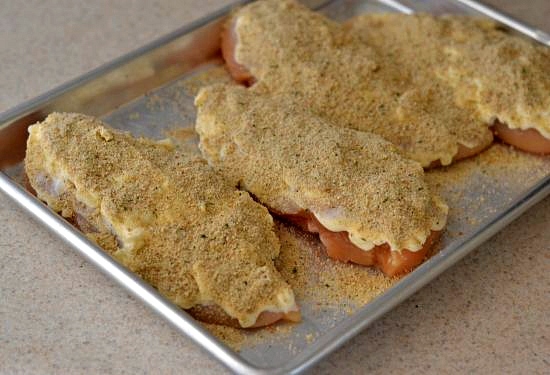 Sprinkle the breadcrumbs over the chicken breasts and bake for 20-30 minutes or until the chicken breast is cooked through. While the chicken is baking cook the pasta and heat the Ragu sauce. 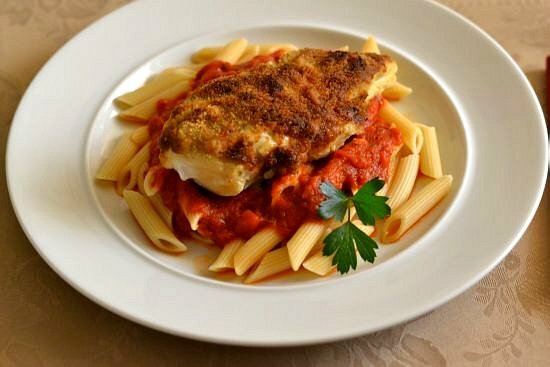 Serve each chicken parmesan breast over a bed of pasta and sauce. This recipe will feed 4. 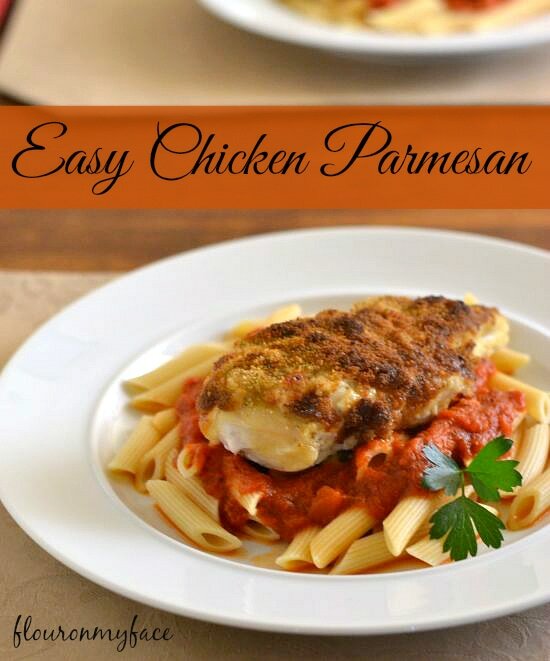 This is one of the easiest and tastiest Chicken Parmesan recipes I have ever made. Trim and pat dry the chicken breast. Mix the Hellman’s mayonnaise with the grated Parmesan cheese. 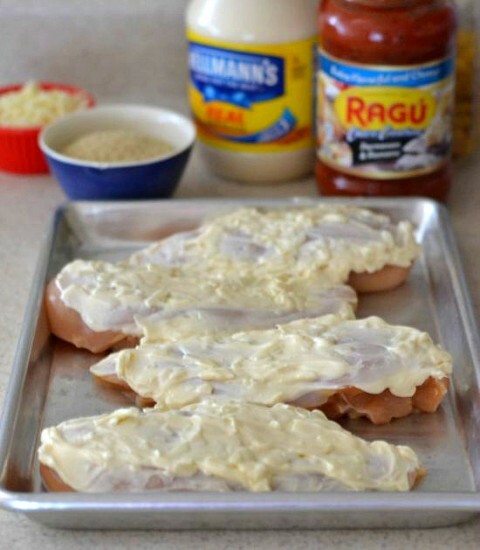 Arrange chicken breasts in a shallow baking pan and spread the cheese and mayonnaise mixture evenly over the chicken breasts. Bake in a preheated 450 F. degrees oven for 20 – 30 minutes or until chicken is cooked through the center. While chicken is baking cook pasta and heat sauce in a saucepan. Serve chicken over a bed of pasta and sauce.